John 'le Marshal' 'Fitz Gilbert' MARSHAL was born before 1109 in Winterbourne Monkton, Marlborough, Wiltshire, England 68 and died before 29 Sep 1165 in Rockley, Marlborough, Wiltshire, England.68 Another name for John was William 'Marshall' FITZ GILBERT.68 John married Sybil Of SALISBURY (See Link for Ancestry),68 daughter of Walter Of SALISBURY Sheriff of Wiltshire and Sybil DE CHAWORTH Heiress of Hesdin, about 1142.68 Sybil was born about 1127 in Salisbury Castle, Salisbury, Wiltshire, England.68 Another name for Sybil was Sybil D' EVREUX. 2. i. MCAdvisor_William MARSHAL 1st Earl Of Pembroke 26 986 1186 1189 1375 1376 was born in 1146 in Pembroke, Pembrokeshire, Wales,26 died 14 May 1219 in Caversham Manor, England 26 at age 73, and was buried in Temple Church, London, Middlesex, England. 3. ii. John MARSHAL 68 was born about 1144 in Rockley, Marlborough, Wiltshire, England,68 died about Mar 1194 68 about age 50, and was buried in Bradenstoke Priory, Wiltshire, England. 2. MCAdvisor_William MARSHAL 1st Earl Of Pembroke 26 986 1186 1189 1375 1376 (John 'le Marshal' 'Fitz Gilbert' 1) was born in 1146 in Pembroke, Pembrokeshire, Wales,26 died 14 May 1219 in Caversham Manor, England 26 at age 73, and was buried in Temple Church, London, Middlesex, England. MCAdvisor_William married Isabel DE CLARE Countess of Pembroke (See Link for Ancestry),26 1186 1377 daughter of Richard 'Strongbow' DE CLARE Justice of Ireland, Earl of Pembroke and Aoife 'Eve' MACMOROUGH, in Aug 1189 in London, Middlesex, England.26 1186 Isabel was born about 1172 of Dublin, Leinster, Ireland,26 died in 1220 in Pembroke, Pembrokeshire, Wales 26 about age 48, and was buried in Tintern Abbey, Chapel Hill, Monmouthshire, Wales. 4. i. MCSurety_dsp_William MARSHALL 2nd Earl Of Pembroke was born circa 1190 in Normandy, France, died 6 Apr 1231 at age 41, and was buried 15 Apr 1231 in Temple Church, London, Middlesex, England. MCSurety_dsp_William married Alice DE BETHUNE in 1214. Alice was born circa 1192, died Prob 1216 at age 24, and was buried in St. Pauls Cathedral, London, Middlesex, England. They had no children. MCSurety_dsp_William next married Eleanor 'Plantagenet' Of ENGLAND,792 daughter of John I 'Lackland' 'Plantagenet' Of ENGLAND King of England [1199-1216] and Isabella Taillefer DE ANGOULEME, 23 Apr 1224. Eleanor was born in 1215 in Gloucester, Gloucestershire, England 792 and died 13 Apr 1275 in Montargis Abbey, France 792 at age 60. 6. iii. Maud MARSHALL 1186 1188 1189 1190 1191 was born about 1192 in Pembroke, Pembrokeshire, England,1186 died 27 Mar 1248 1186 about age 56, and was buried in Tintern Abbey, Chapel Hill, Monmouthshire, Wales. 7. iv. Richard MARSHALL was born circa 1192 in Pembroke, Pembrokeshire, Wales, died 16 Apr 1234 in Kilkenny Castle, County Kilkenny, Ireland at age 42, and was buried in Church of The Franciscans, County Kilkenny, Ireland. 8. v. Gilbert MARSHALL was born after 1195 in Pembroke, Pembrokeshire, Wales, died 27 Jun 1241 in Hertford Priory, Hertfordshire, England, and was buried in Temple Church, London, Middlesex, England. 9. vi. Walter MARSHALL was born after 1198 in Pembroke, Pembrokeshire, Wales, died 24 Nov 1245 in Goodrich Castle, Herefordshire, England, and was buried in Tintern Abbey, Chapel Hill, Monmouthshire, Wales. 10. vii. Isabel MARSHALL 1203 1204 1205 was born 9 Oct 1200 in Pembroke, Pembrokeshire, Wales,1203 1204 died 17 Jan 1240 in Berkhampstead, Hertfordshire, England 1203 1204 at age 39, and was buried in Bealieu, Southampton, England. 11. viii. Eve MARSHALL 1022 1036 1037 was born circa 1202 in Pembroke, Pembrokeshire, Wales, died before 1246 of Abergavenny, Over Gwent, Monmouthshire, Wales, and was buried in St.Mary Priory Church, Abergavenny, Monmouthshire, Scotland. 12. ix. Anselm MARSHALL was born circa 1204 in Pembroke, Pembrokeshire, Wales, died about 23 Dec 1245 in Chepstow, Herefordshire, England about age 41, and was buried in Tintern Abbey, Chapel Hill, Monmouthshire, Wales. 13. x. Joan MARSHALL 1378 1379 was born circa 1208 in Pembroke, Pembrokeshire, Wales and died about 1234 about age 26. See the William DE FERRERS 5th Earl of Derby Entry for this Couple's Children and Descendants. 6. Maud MARSHALL 1186 1188 1189 1190 1191 (MCAdvisor_William 1st Earl Of Pembroke 2, John 'le Marshal' 'Fitz Gilbert' 1) was born about 1192 in Pembroke, Pembrokeshire, England,1186 died 27 Mar 1248 1186 about age 56, and was buried in Tintern Abbey, Chapel Hill, Monmouthshire, Wales. Maud married MCSurety_Hugh BIGOD 5th Earl of Norfolk (See Link for Ancestry),1186 1187 son of MCSurety_Roger BIGOD 4th Earl of Norfolk and Ida DE TOENI, about 1207 in Pembroke, Pembrokeshire, Wales.1186 MCSurety_Hugh was born circa 1178 in Framlingham Castle, Suffolk, England,1186 1187 died circa 18 Feb 1225 of Framlingham Castle, Suffolk, England 1186 1187 at age 47, and was buried in Thetford Church, Norfolk, England. See the MCSurety_Hugh BIGOD 5th Earl of Norfolk Entry for this Couple's Children and Descendants. Maud next married MCAdvisor_William DE WARENNE Earl Of Surrey (See Link for Ancestry),1362 1363 1364 son of Hamelin DE WARENNE Earl Of Surrey and Isabel DE WARENNE, before 13 Oct 1225. MCAdvisor_William was born about 1166 in Lewes, Sussex, England, died 27 May 1240 in London, Middlesex, England about age 74, and was buried in Lewes Priory, Sussex, England. See the MCAdvisor_William DE WARENNE Earl Of Surrey Entry for this Couple's Children and Descendants. 10. Isabel MARSHALL 1203 1204 1205 (MCAdvisor_William 1st Earl Of Pembroke 2, John 'le Marshal' 'Fitz Gilbert' 1) was born 9 Oct 1200 in Pembroke, Pembrokeshire, Wales,1203 1204 died 17 Jan 1240 in Berkhampstead, Hertfordshire, England 1203 1204 at age 39, and was buried in Bealieu, Southampton, England. Isabel married MCSurety_Gilbert DE CLARE 4th Earl of Hertford, 7th Earl of Clare (See Link for Ancestry),26 1203 son of MCSurety_Richard DE CLARE 3rd Earl of Hertford and Amicia FITZ ROBERT Countess of Gloucester, 9 Oct 1217 in England.1203 1204 MCSurety_Gilbert was born circa 1182 in Clare, Risbridge, Suffolk, England,26 1203 died 25 Oct 1230 in Penros/Perros-Guirec, Cotes-du-Nord, Bretagne, France 26 1203 at age 48, and was buried 10 Nov 1230 in High Altar, Tewksbury, England. See the MCSurety_Gilbert DE CLARE 4th Earl of Hertford, 7th Earl of Clare Entry for this Couple's Children and Descendants. 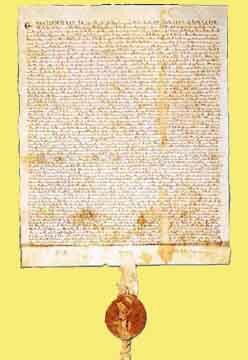 15. i. John PLANTAGENET was born 31 Jan 1232 and died 22 Sep 1232. 16. ii. Isabel PLANTAGENET was born 9 Sep 1233 and died 6 Oct 1234 at age 1. 17. iii. Henry PLANTAGENET was born 12 Nov 1235 in Haughley Castle, Suffolk, England, died from 13 Mar 1270 to 1271 in Church of San Silvestro, Viterbo, Latium, Italy at age 34, and was buried 21 May 1271 in Hailes Abbey Near Winchcombe, Cheltenham, Gloucestershire, England. 18. iv. Nicholas PLANTAGENET was born from 12 Jan 1239 to 1240 in Berhamstead, Hertfordshire, England and died about 20 Jan 1240 in Berhamstead, Hertfordshire, England about age 1. 11. Eve MARSHALL 1022 1036 1037 (MCAdvisor_William 1st Earl Of Pembroke 2, John 'le Marshal' 'Fitz Gilbert' 1) was born circa 1202 in Pembroke, Pembrokeshire, Wales, died before 1246 of Abergavenny, Over Gwent, Monmouthshire, Wales, and was buried in St.Mary Priory Church, Abergavenny, Monmouthshire, Scotland. Eve married William DE BRAOSE 14th Lord of Abergavenny (See Link for Ancestry), son of Reginald (Reynold) DE BRAOSE 13th Lord of Abergavenny and Grace DE BRIWERE, 2 May 1220 in Pembroke, Pembrokeshire, Wales. William was born circa 1197 in Abergavenny, Over Gwent, Monmouthshire, Wales, died 2 May 1230 in Hanged by Llewelyn ap Iowerth at age 33, and was buried of Abergavenny, Over Gwent, Monmouthshire, Wales. See the William DE BRAOSE 14th Lord of Abergavenny Entry for this Couple's Children and Descendants.